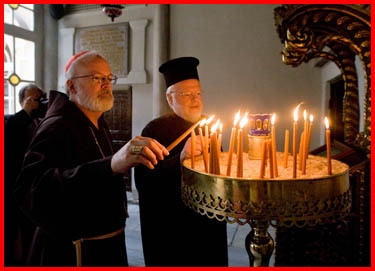 This past week the Boston Catholic and Orthodox pilgrimage traveled to Istanbul and St. Petersburg. As you know from last week’s blog, our joint pilgrimage began in Rome. The group included many Catholic and Orthodox pilgrims from Boston, including myself and Metropolitan Methodios of the Greek Orthodox Church in Boston. On Thursday last week, we left Rome for Istanbul. For many of us it was our first trip there. 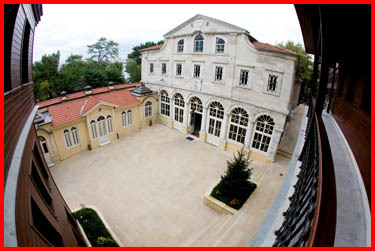 We went because the ecumenical patriarch, head of the Orthodox Church, resides there in what is considered the see of St. Andrew, the brother of St. Peter. I was very impressed, first by how big the city is. There are 12 million people living in Istanbul. It is also a very clean city. There is obviously a lot of poverty and high unemployment rate, and yet the center of the city, the parks and so forth are very well-kept and the streets are very clean. 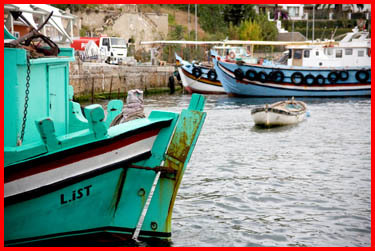 In the last 50 years, most of the Christians have been driven out of Turkey. 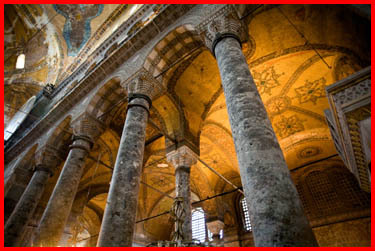 At one time a tenth of the population of Istanbul was Christian. Now there are about 4,000 Christians left. Their life is very difficult. 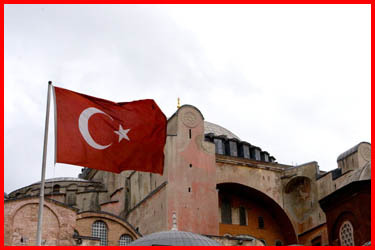 The Turkish state under the Ottoman Empire, was an officially Muslim state, following the Sharia Law. 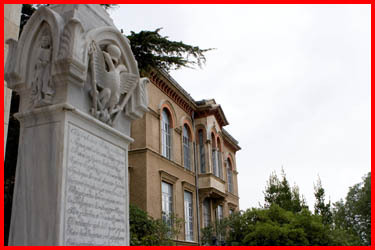 Mustafa Kemal Atatürk, who became the first president of the Republic of Turkey in 1923, secularized the state and tried to make it more European, more modern. He changed the holy day to Sunday, making it the free day of the week for people in Turkey so that it would coincide with the day off in Europe. He forced the people to adopt Western dress and forbade religious garments. That law is still observed today. 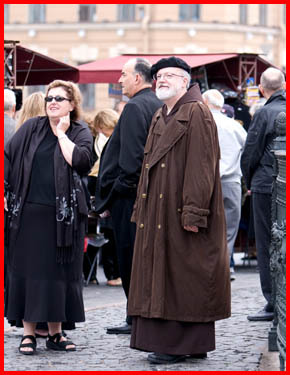 It is against the law to dress as a priest in public. 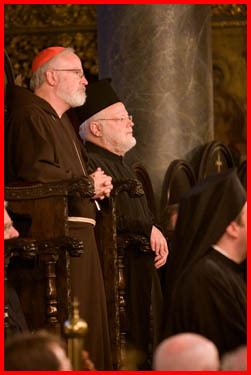 For that reason the priests, Metropolitan Methodios and I simply wore black shirts and no clerical garb. 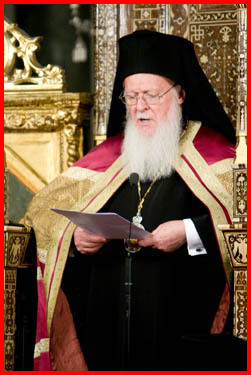 Only the Greek Orthodox Patriarch is allowed to appear in public in clerical garb. Apparently the situation is starting to change now. In some neighborhoods we saw that many people were adopting the Muslim dress once again. I understand that the wives of the president and the prime minister both wear head scarves, so there is speculation that they will change the Turkish constitution to allow people to wear religious garments. In parts of the city, many people are already wearing religious garb in large numbers. It was quite a contrast. In some places people were dressed in very Western dress and in others very conservative Muslim dress. 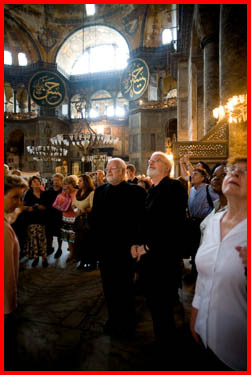 While in Istanbul, we visited Hagia Sophia, one of the oldest and largest churches in Christendom. It was a very moving experience to visit what was once the largest church in the world. 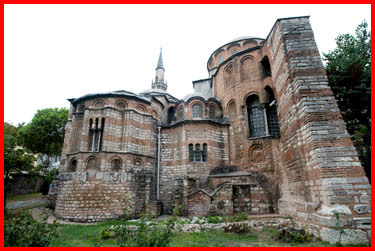 During the crusades it was taken over and converted into a mosque, but it is now a museum. When the Roman Empire moved to the East, it went to Constantinople, and Constantinople became the second Rome. 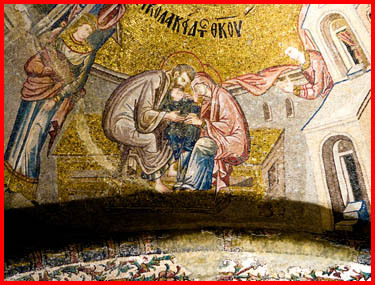 There, the emperors established a Christian empire, Byzantium, and the centerpiece of this is the Church of Hagia Sophia. The church itself is a magnificent structure. 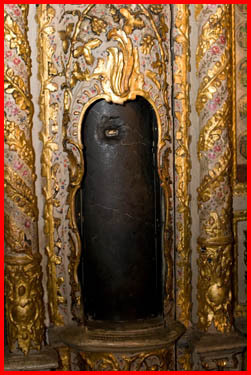 It is nearly 1,500 years old and has survived many earthquakes. 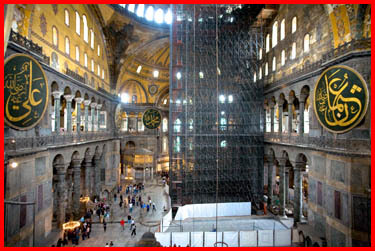 For the first thousand years or so it was the largest church in the world. Originally it was a church in communion with the Roman Church. 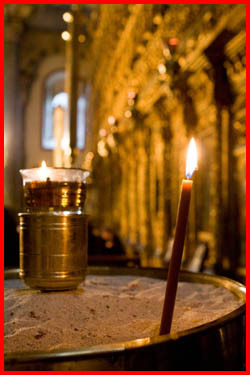 It harkens back to the time when Catholics and Orthodox were one, and so it was a very fitting place for us to visit. 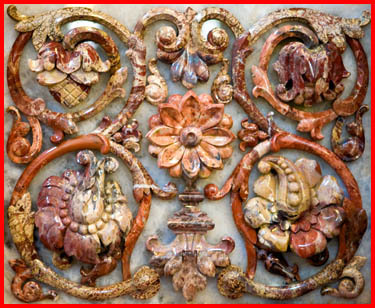 The church once had silver and gold chandeliers, but much of the wealth of the church was stolen by the crusaders. 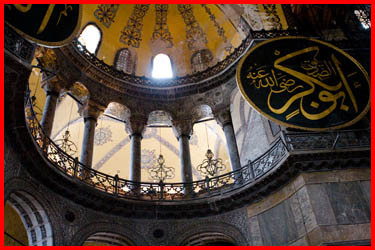 And then, when Constantinople fell to the Muslims, the church became a mosque, and there are still indications of that period which lasted until Atatürk secularized the state and turned the building into a museum. 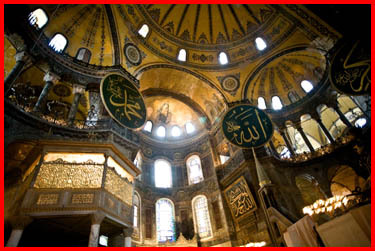 To his credit, he wanted to show both the Christian and the Muslim heritage. Muslims do not allow the human figure to be portrayed. They consider that a violation of the first commandment, so they decorate their mosques with the letters from the alphabet and quotes from the Koran in very beautiful calligraphy. 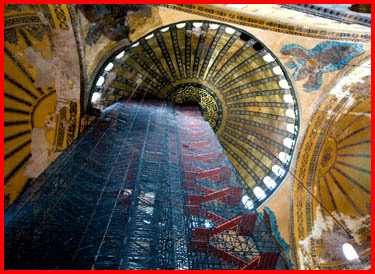 They had painted over all of the mosaics and so, for a period of 20 years, they have been restoring and uncovering the mosaics. Some of them are just gorgeous. 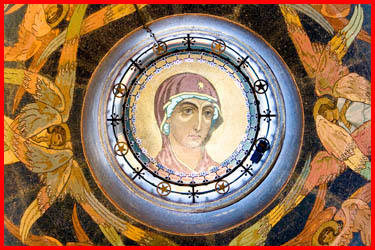 In the very center of the ceiling where they have a Pantocrator — a depiction of Christ as the Ruler of Universe — there’s a big medallion from the Koran which they cannot remove without offending sensibilities of the populous. In front of the cathedral they have some of the things that have been saved over the years, and one of them is the pulpit of St. John Chrysostom. 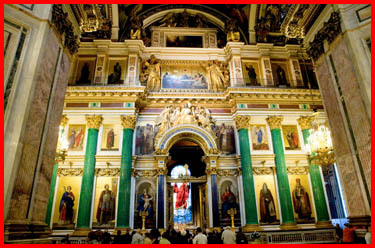 St. John Chrysostom has been a theme of our pilgrimage since we were in the Basilica of St. Paul Outside the Walls in Rome. I mentioned last week that the abbot at the basilica presented St. Paul’s chains to us and said that St. John Chrysostom had written that he wanted to go to the basilica to venerate those chains. 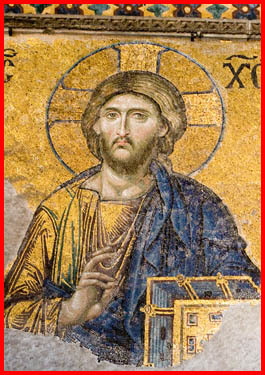 Hagia Sophia was a church where St. John Chrysostom preached. 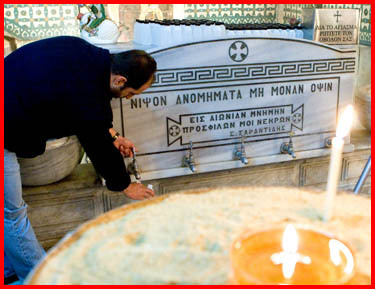 The Holy Father gave a portion of the relics of St. John Chrysostom and St. Gregory Nazianzen — known in the Orthodox world as St. Gregory the Theologian — to the ecumenical patriarch in 2004. 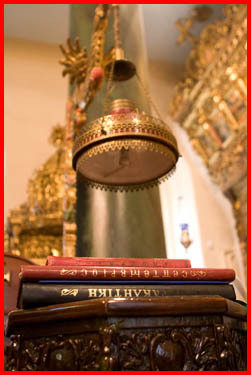 They are prominently displayed in the headquarters of the patriarchate. Then, we visited a church of the Church of Panagia of Blachernae, and that is still a church. 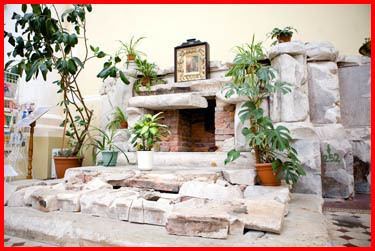 According to tradition, an apparition of the Blessed Mother took place there. People visit the fountain there, and it was quite interesting because while we were there, there were Muslim women coming in, asking for holy water. 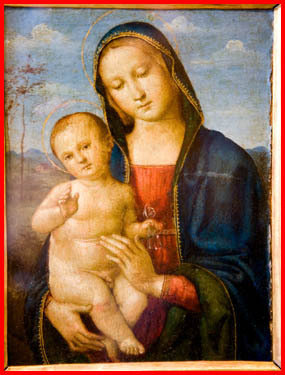 The Muslims have a devotion to the Blessed Mother. 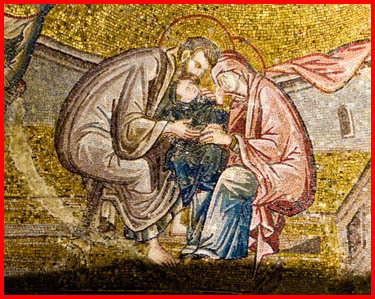 They have adopted a lot of things from the New Testament, and one of them is regard for Christ, even though they do not accept his divinity, and also a very tender devotion to Mary. 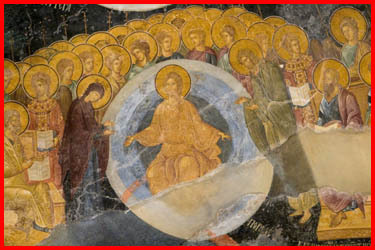 From there we visited the Monastery of Chora, which is now a museum. 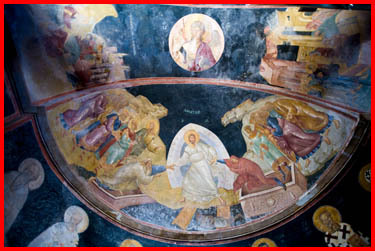 Once again, it is a church with magnificent murals with depictions of many scenes from the life of the Blessed Virgin, particularly things taken from the apocryphal gospels. 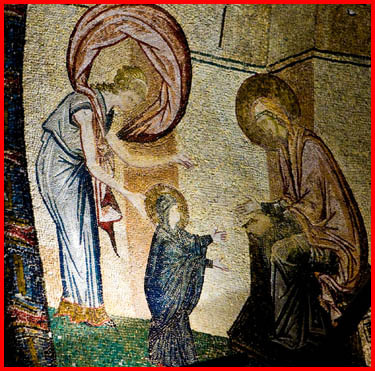 There were images of St. Ann, St. Joaquin and the marriage of Mary and Joseph — all of those things that come from the Apocrypha, which are very ancient documents. The Church never accepted them as inspired or canonical but still has always accepted them as very important historical documents. 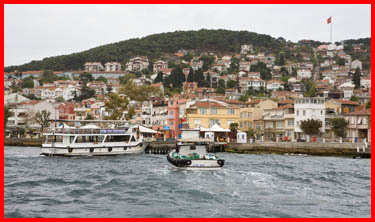 The following day we went to the island of Halki, where they have their seminary. It is a monastery that goes back over a thousand years. Those at the seminary were very gracious to us. They received us and had a program, giving us a history of the seminary. 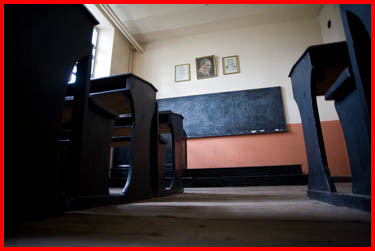 The seminary has been closed for decades by the government and once again it’s the pressure put on the Church there, which is very sad. 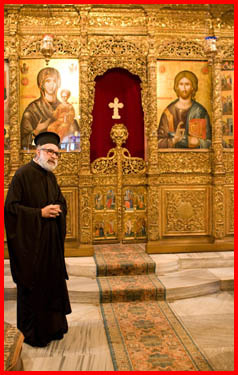 Actually one of the Orthodox priests who was with us on the pilgrimage, Father John Maheras, had studied at Halki at one time. He is pastor in Cohasset and works at the Metropolitan’s office. The island itself was very picturesque. 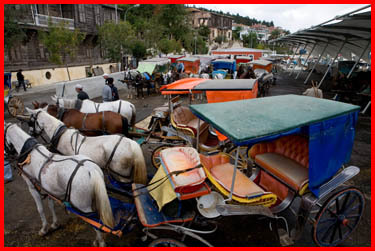 We had to go there on a ferry, and there are no cars on the island, so we had to go by horse cart from the port up the hill. 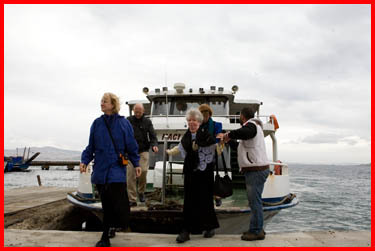 From there, we returned to the mainland and went to the “phanar” or the patriarchate, where we were received by the ecumenical patriarch, Bartholomew, and participated in a great vespers service. The singing was absolutely incredible. They have two choirs who did all the chanting, which is a cappella. There was also a male soloist, a baritone, who I understand sings at the Turkish opera. The patriarch received us, and he gave me a beautiful pectoral cross, which is a replica of one of the crosses in Hagia Sophia. I gave him a San Damiano cross and explained to him that that Byzantine icon was the inspiration to St. Francis in his vocation. 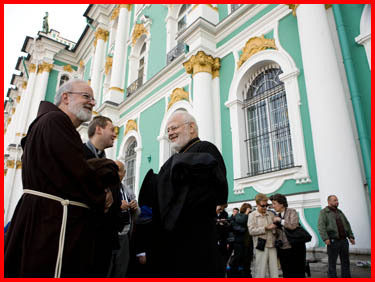 He was very happy to see us, and he is going to travel to Ravenna, Italy to participate at the reopening of the Catholic Orthodox Joint Theological Commission that will resume the Catholic-Orthodox dialogue. 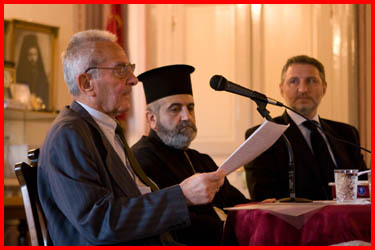 The patriarch is very, very supportive of the cause of Christian unity. 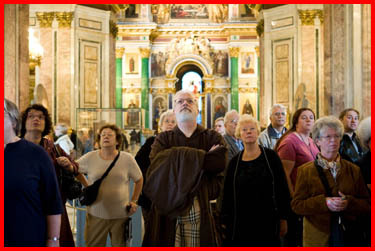 Each year he sends representatives to Rome for the feast of Sts. 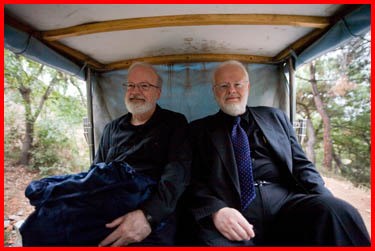 Peter and Paul. 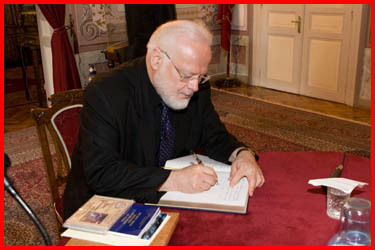 In addition, he receives the pope’s representatives on the Feast of St. Andrew. The brothers Sts. 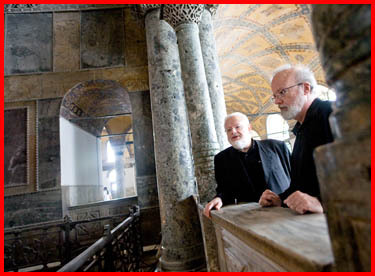 Peter and Andrew represent the Catholic and Orthodox Churches. Bartholomew talked about the Holy Father’s visit last year to Turkey and how much that meant to him. 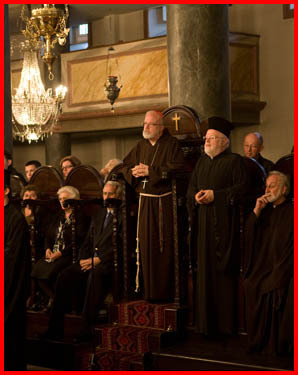 The Orthodox in Turkey were grateful that the Holy Father made the trip. I told him that when I received the pallium, he was at that Mass in Rome and spoke. 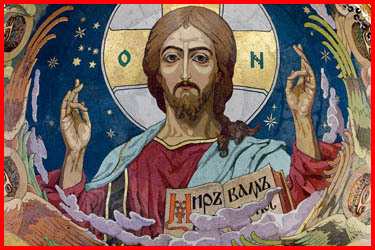 Your All-Holiness, Eminences, Excellencies, dear Clergy and Brothers and Sisters in Christ, it is an honor to be with you, the successor to St. Andrew in the See of St. Andrew. It is my pleasure to come here with my esteemed brother, His Eminence Metropolitan Methodios of Boston, to manifest in this pilgrimage the fruition of a deep relationship between the sister-churches of Boston. Our relationship includes exchanging visits on the Feasts of Saints Peter and Paul and of Saint Andrew according to your example, Holiness, with His Holiness the Pope. It includes being present at Paschal Week liturgies, cooperating on many challenges together, and more. Boston’s Catholic and Orthodox Churches have provided significant support of prayer, theologians, and resources to the U.S. Roman Catholic-Orthodox Theological Consultation, helping it to produce many dialogue documents which I commend to both our churches for timely and serious consideration. 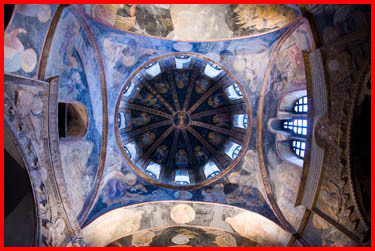 Of course we pray for the coming International Dialogue in Ravenna next month. But just as there have been many gestures of love and support on the levels of the Sees of Rome and Constantinople, we in Boston have also exchanged many expressions of fraternal love and solidarity including the personal esteem and friendship between His Eminence and I. 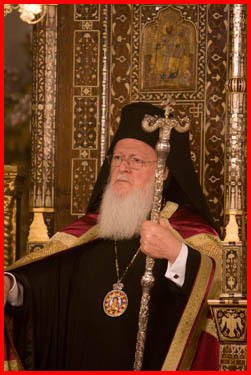 Your Holiness, we Catholics of Boston have found in His Eminence a brother whose spiritual courage, faith, and fidelity to Christ have led him to be a heroic leader in the ecumenical movement by incarnating the commitments of Your Holiness and your venerable predecessors Demetrios and Athenagoras of blessed memory. Dialogue needs the context of such relationships in order to bear fruit. 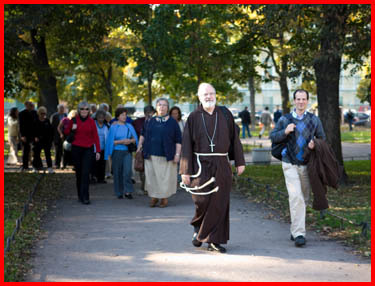 Our pilgrimage represents the fruition of an unquenchable desire to be utterly obedient to Christ who wills our unity. So today, Your Holiness, we come as pilgrims with this desire for unity. Let us remember the call of the Second Vatican Council echoing Holy Scripture that we ask “Nothing beyond the necessary” for Christian unity. 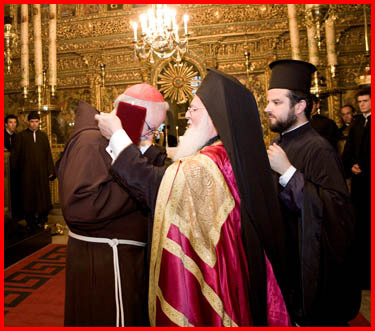 I have also come here, Your Holiness, in solidarity with you and your Holy Patriarchate. 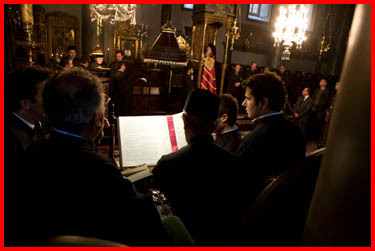 Nothing can ever change the place of immense honor of the Patriarchate of Constantinople, recognized by the ecumenical councils, and unforgettable among all Christians. 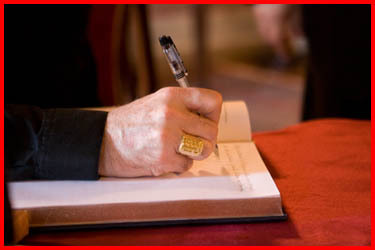 I pledge myself, as I know my esteemed brother the Metropolitan does, to keenly do all I can with God’s help to hasten the full visible unity, the restoration of priceless communion between the Churches of the East and the West, to the spread of the Kingdom and the Glory of the Most Holy Trinity. 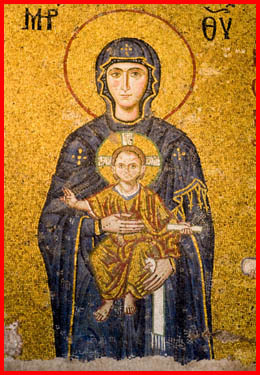 May our Blessed Mother the Theotokos intercede for us to hasten the day of unity. May God grant you many years, Your Holiness. 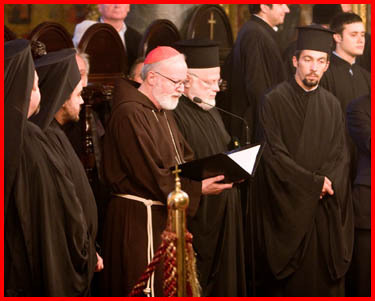 It is with sincere pleasure and paternal joy that we humbly welcome you from the beautiful region of New England to this historical city of New Rome and to the Ecumenical Patriarchate. 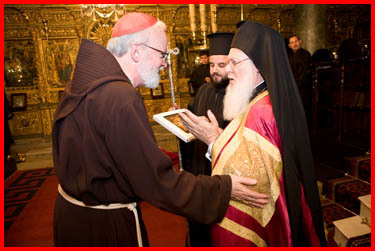 Several decades ago, our predecessor Patriarch Athenagoras and Pope Paul VI together initiated a similar pilgrimage to the city of Jerusalem, as well as here in Constantinople and in Rome, bequeathing to us all an invaluable legacy that emphasizes the need to sustain mutual dialogue in love and in truth. Paul John Paul II and we attempted to continue this tradition through multiple meetings we had in Rome and in Assisi. 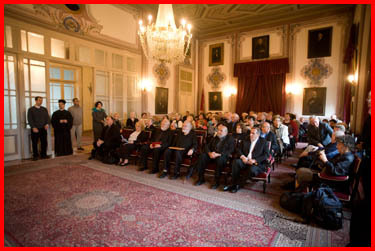 The vision of unity and reconciliation by our two Churches was affirmed more recently when Pope Benedict XVI formally visited the Ecumenical Patriarchate last November on the occasion of Thronal Feast of St. Andrew, when together we declared our commitment to the theological dialogue between our Sister Churches. 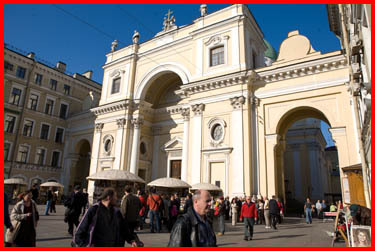 This Official International Dialogue, which resumed last year after an unfortunate interruption of several years, will thankfully reconvene its sacred task next month in Ravenna. Moreover, beyond the common vision and task of unity in Christ, during that historical visit by the Pope, we jointly declared our dedication to work together on vital issues that people face in our day and age — irrespective of creed, race and gender. 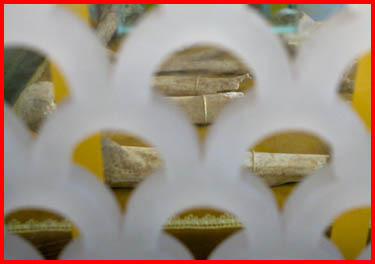 Thus, in our Common Declaration, we underlined our intense desire and unwavering commitment to work together for the eradication of suffering and poverty throughout the world, for the vindication of peace and justice all over the globe, as well as for the preservation of God’s natural creation on our planet. In recent years, we have understood that the unity of the Church requires openness to learn from one another and faithfulness to work with one another on many and manifold levels. It is only in this way that we will gradually create the necessary conditions to overcome prejudice, to appreciate differences and to discern the roots of division. 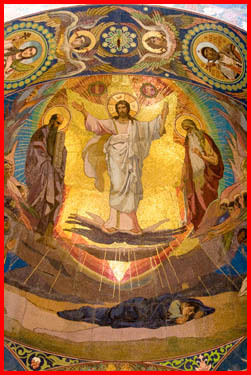 This means that all of us, both you and we, from our own particular position and unique perspective, are called to engage in and explore ways of overcoming barriers toward visible, sacramental unity. 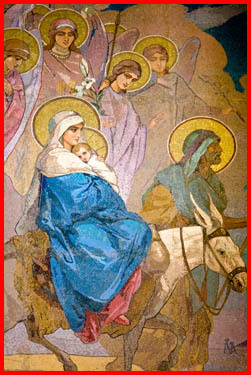 Dear brothers and sisters, this is precisely how we view your pilgrimage here today. It is an essential part of responding to Christ’s command, bringing us closer — first of all — to one another as members of His Body, closer — secondly — to the world where we are called to respond “to the least of His brethren” (Matt. 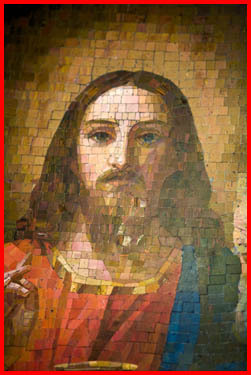 25.40), as well as — ultimately — closer to our Lord and Savior Himself. 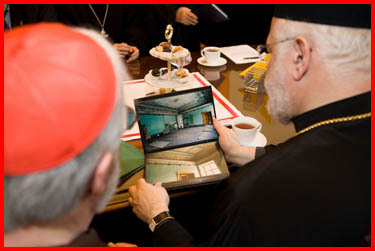 With the initiative and inspiration of your blessed leaders, His Excellency Archbishop O’Malley and His Eminence Metropolitan Methodios, you too are taking important steps toward drawing our Churches out of isolation and separation and into connection and conversation. 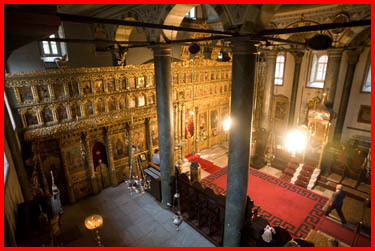 Welcome to the Ecumenical Patriarchate and to this city, where the silence of every stone manifests centuries of a common Christian history and where the beauty of Christian culture declares — in the art and architecture — the very glory of God. From Turkey we flew to St. Petersburg, Russia, where we spent two days. 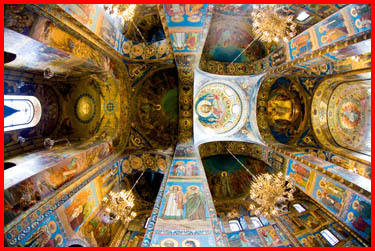 There, we visited three magnificent Orthodox churches — two of which have been turned into museums. 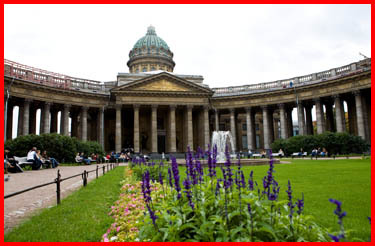 The Kazan Cathedral is the cathedral for the Russian Orthodox and is still functioning as a church. 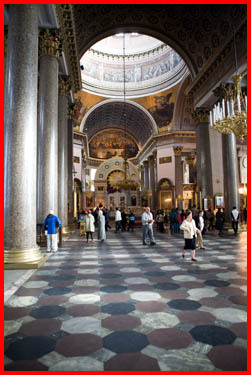 The three churches were built by the czars and have been restored. 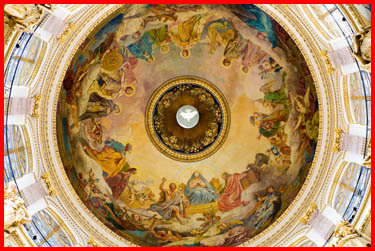 They are gorgeous with mosaics, gold and artwork that is comparable to anything you would see in Rome. They were just fantastic. 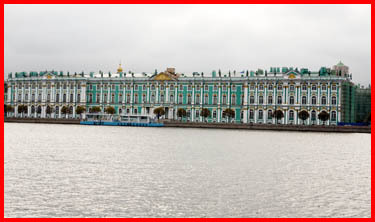 Peter the Great, who founded St. Petersburg, wanted to make it a very European city. 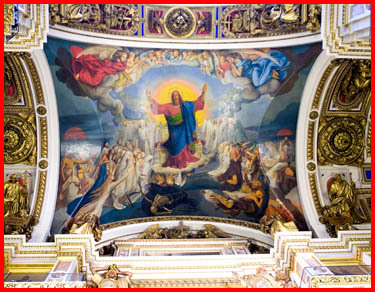 He brought architects and artists from Italy and France to design the churches, and they look very much like Roman Catholic churches. 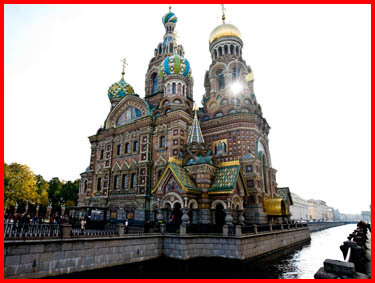 The exception to that is the Church of the Spilt Blood, which was built over the place where one of the czars was assassinated. 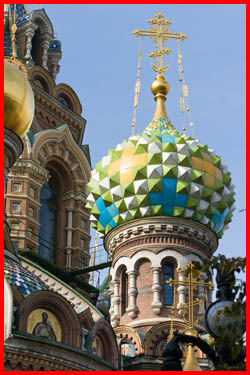 That is a very Russian looking church with the onion domes. 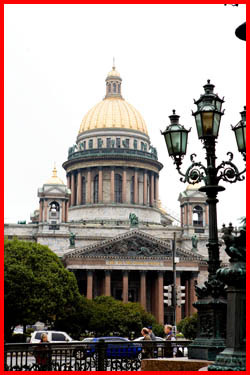 We visited St. Isaac Cathedral, which is now a museum. 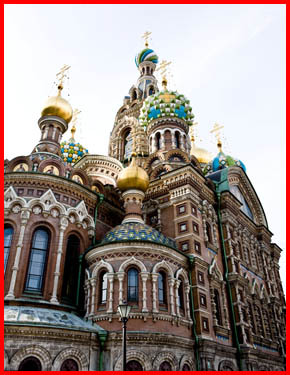 Many of the churches in Russia were converted to museums or given over for completely secular uses under the communist government. Many of those church buildings are being returned to the Churches. The Catholic Church has recovered some buildings. 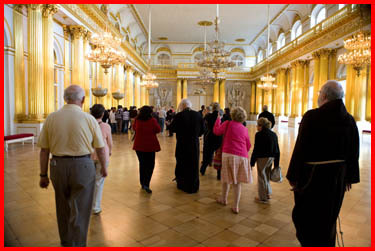 We did have a visit to the Hermitage Museum, which is one of the best museums of the world and very much built by Catherine the Great. 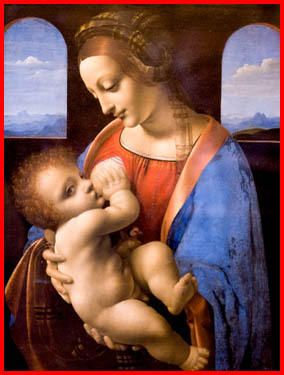 They have an incredible collection of art, much of it religious, including beautiful sculptures of the Madonna by Da Vinci and Rafael. 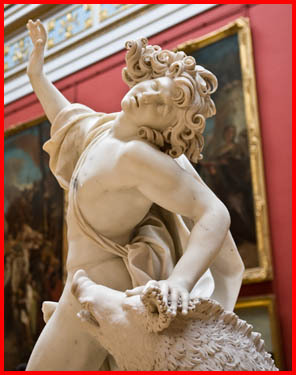 The famous Rembrandt of the Prodigal Son is also located there as well as many other magnificent works of art. 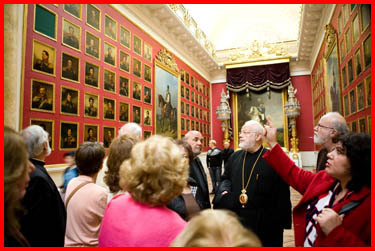 I did not spend too much time in the Hermitage because the Metropolitan and I went for a very interesting meeting with the Russian Metropolitan. 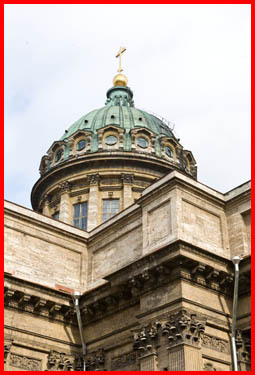 The meeting took place at the Alexander Nevsky Monastery of the Holy Trinity. Near the monastery is the Tikhvin Cemetery where Fyodor Dostoevsky, Peter Tchaikovsky and many other famous Russian artists are buried. 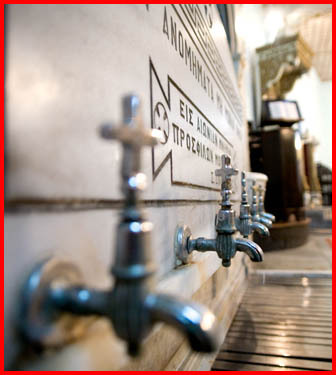 During the communist period, the monastery was used for atomic research. 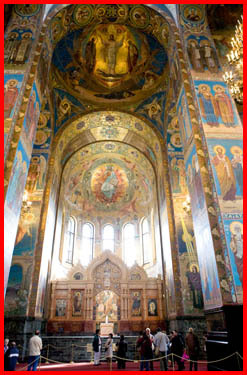 It has only recently been restored to the Russian Church. They have had hundreds of churches turned back to them, and they are trying to restore them and train catechists. The Metropolitan there, Vladimir, is 78 years old. He had been an observer at the Second Vatican Council and knew Blessed John XXIII. 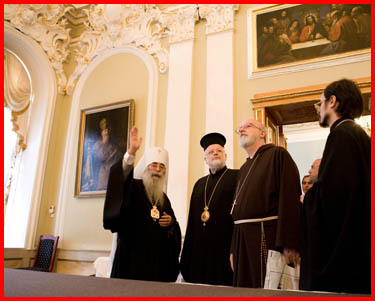 Metropolitan Vladimir is a man who really is interested in Church unity. He was very, very gracious to us and gave us a beautiful book about his monastery . 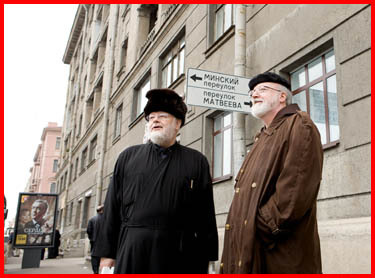 They have a Russian seminary there with 500 students. We went to visit and had lunch there. 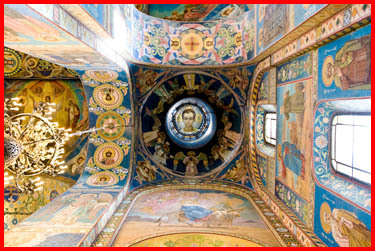 In conjunction with the seminary, they have a school to train iconographers and musicians, the three main elements so important in the Orthodox liturgy. That was to me a great joy to be able to meet him. 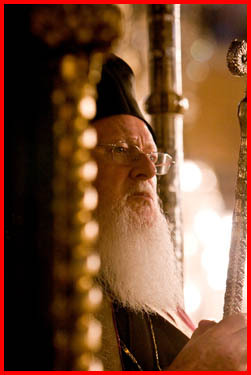 He told us that over 100,000 Orthodox had died for the faith during the communist persecution. He now has about 500 priests in his diocese. 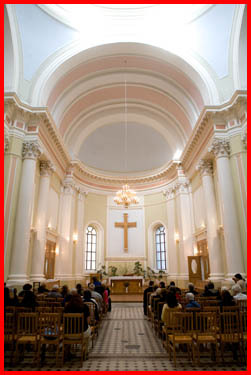 On Tuesday, the last day of our visit, we had Mass at St. Catherine Church, the Roman Catholic Church there. 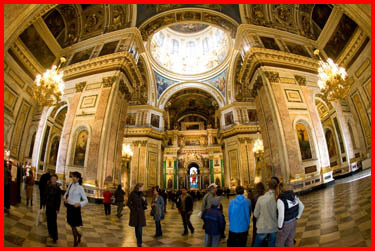 It is a beautiful church and one of five Catholic churches in St. Petersburg, home to 5,000 Catholics. 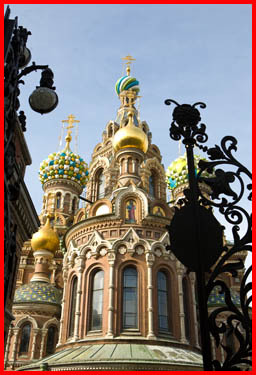 The city is part of the Diocese of Moscow, which is quite far away. 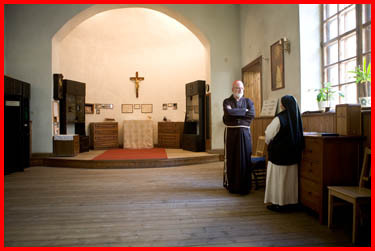 St. Catherine’s was once used as a motorcycle repair shop, but has been restored and is now run by the Dominican friars who are mostly from Poland. 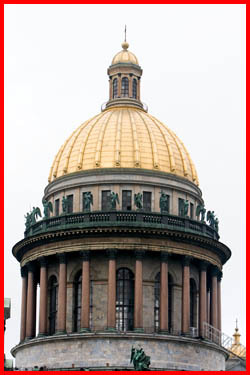 Many of the Catholics in St. Petersburg are of Polish descent — the grandchildren of Polish immigrants. Sister Maria Sulapa, a Dominican nun who is the sacristan at St. Catherine’s was very lovely. She is from Honduras and came to Russia 12 years ago. 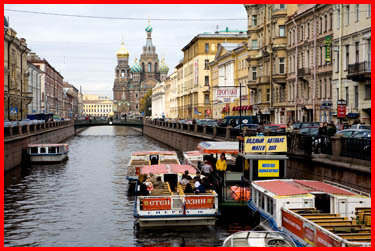 After our visit to St. Petersburg, we flew back to Boston arriving at Logan airport on Thursday evening. It was a privilege to be a part of this pilgrimage. 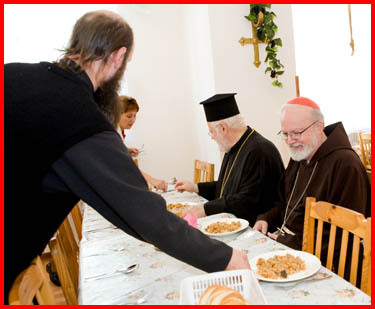 I am overwhelmed by the thought that perhaps our modest efforts are a witness to the importance of working for unity between the Catholic and Orthodox Churches. 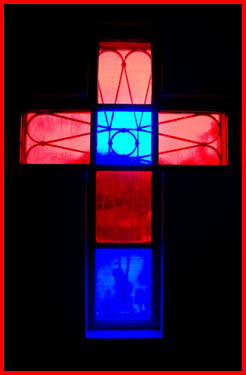 Certainly, the spirit of prayer as we went back and forth to each others’ services was very beautiful. However, at the same time there was the pain of not being able to receive communion at each others services’ even though we believe in the validity of their orders. Hopefully our efforts have promoted understanding between our two Churches. 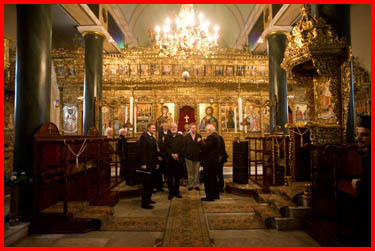 I was very glad to spend time with the people who came with the Greek Orthodox Church in Boston. Metropolitan Methodios is always so gracious and his priests and people were a joy to be with. I think for all the Catholics it was a very good experience as well. 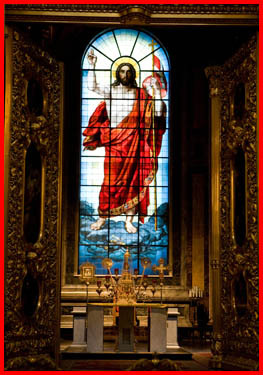 Finally, I leave you with with my photo of the week, taken, as all the others during the pilgrimage, by Gregory Tracy. Greg is managing editor — and staff photographer — of our Archdiocesan newspaper, The Pilot. I am very grateful for his tireless work during the pilgrimage, not only documenting the trip but keeping those at home informed of the details of the pilgrimage through The Pilot. 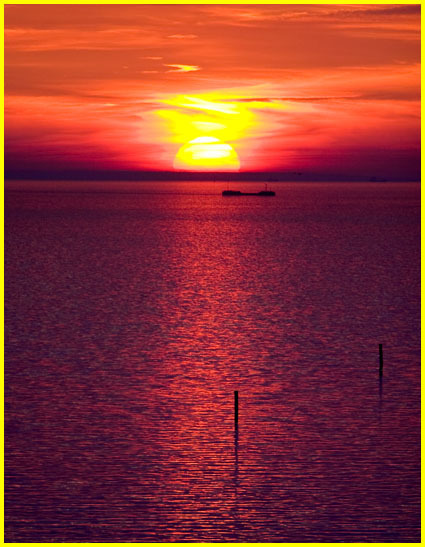 A beautiful image of the the sun setting over the Baltic Sea. Each night of our stay in Russia we were treated to this spectacular sight.